Along the Road. . .
Glen and I finished our first hiking adventure last week. We hiked --climbed would be a better verb --Mt. Le Conte in Tennessee and then continued on to the Boulevard Trail and on to the Appalachian Trail. This was easily the most strenuous physical thing I have ever done. Climbing the 3000ft elevation gain, over rocks, fallen trees and slippery boulders tested our strength and endurance as it has never been tested before. By the end of the day, we were exhausted, I was injured, and we were discouraged. That is, until the Lord answered one prayer after another. We prayed often along the last five miles of this trek for the Lord to "quicken our mortal bodies" and He did. We had enough strength when we arrived at our shelter to set up our tent, eat dinner, and prepare for bed. We prayed that the Lord would provide water for us, and in an unexpected place, we came upon a beautiful spring flowing from the mountain. The water was easily accessible and we were able to refill our supply "abundantly above all that we ask or think." We also prayed we would make it to our shelter before dark. Our pace was much slower than we had anticipated, and the last five miles seemed to take forever. We did not feel very confident in our ability to make it to the shelter before dark. But somehow, we had plenty of time once we reached the shelter to set up our tent and prepare for the evening. thanks to the Appalachian Trail Conservatory. It was a beautiful day and a fun day of hiking. This adventure, this "excellent adventure" as we call it, was great in what it asked from us physically, but it was also great spiritually. It required us to abandon all hope of managing on our own and trust the Lord completely for what we needed. And His supply when we trust Him is over and beyond what we can even imagine. Whatever difficult trail He calls us to walk, He will also be the abundant supply. 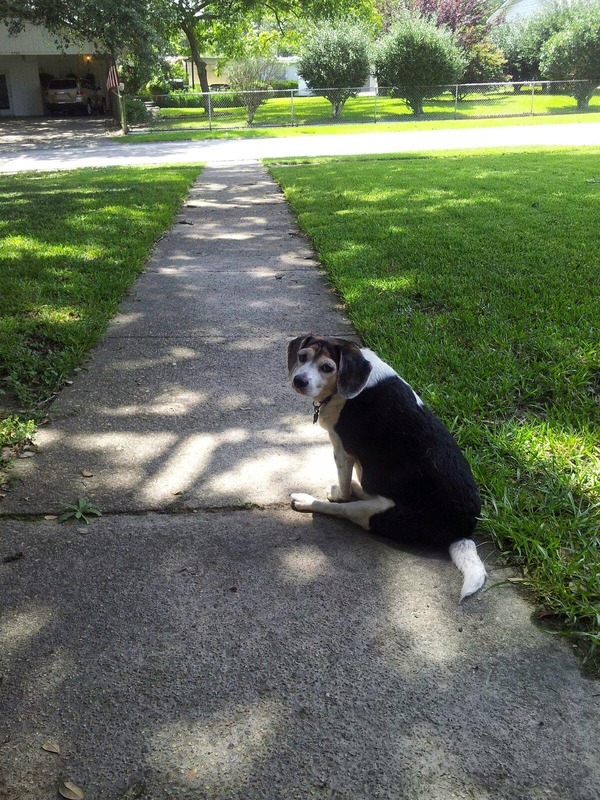 Our beagle, Sparrow, loves to sit out in our front yard. She just sits and watches the neighborhood pass by her. Today I had a good bit of computer work to do, so I sat on the front porch so that she could enjoy herself outside. As she was sitting in the yard, under the shade of our oak tree, a gust of wind came. The gust caused a rain of acorns to fall into the yard. Sparrow didn't seem too concerned about the acorn-shower, but it sparked my thoughts. The acorns, blown by the wind, are falling just before winter. The large population of squirrels in our neighborhood, which live in and play in the many oak trees, eat these acorns. How prevenient of the Lord to provide the acorns just before the cold weather sets in. I love that word, prevenient. It means "preceding in time or order." It comes from the Latin praevenient --meaning "coming before" and is the present participle of praevenire meaning "to anticipate." It is a divine grace which exists prior to and without anything we humans may have done. It is the Lord anticipating our needs even before we know we will have that particular need. The Scriptures tell us, "And it shall come to pass, that before they call, I will answer; and while they are yet speaking, I will hear, (Isaiah 65:24.) The Lord knows our needs, He knows every aspect of every moment of our lives, better actually than we do. More than that, it is His desire to meet those needs in a way that is in perfect accord with His eternal purpose in Christ Jesus. If the Lord cares enough about the squirrels to provide acorns for them before winter, how much more does He care for His children who have put their faith and trust in Him? We can be sure -- very sure -- it is the Lord's plan to provide for us even before we ask, as we trust Him by faith.